Offices are located at our Western & Morgan clinic providing diabetes education and obesity management sessions in collaboration with our comprehensive primary care. Referrals to our program are made by the patient’s primary care provider from any of the Alivio Medical Center sites. The program is designed to empower our patients in efforts to achieve optimal health-related outcomes. 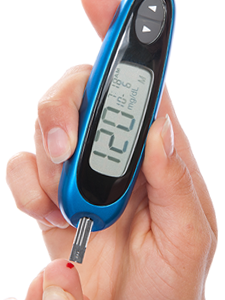 We offer comprehensive, multidisciplinary diabetes education for pre-diabetes, Type 1, Type 2 and Gestational Diabetes. Individual sessions are tailored to meet specific needs. Our bilingual, registered dietitian/nutritionist has one-to-one sessions in underweight, overweight and obesity for adults, adolescents and children. The children and families are encouraged to attend our nutrition and physical activity class every first Wednesday of the month at the Western Avenue location. View this video that tells our story and details the comprehensive diabetes services we provide.